Everyday, there'll be new poses posted here. You can use any medium you prefer, to draw the pose, but it must be 15 minutes or under. We are usually on freenode irc #cgsociety but you can draw on your own if you can't join. Just use the honor system to time yourself and then post your efforts here after your time is up. Everyone's got 15 minutes to sketch. So break those sketchpads out and lets have fun. 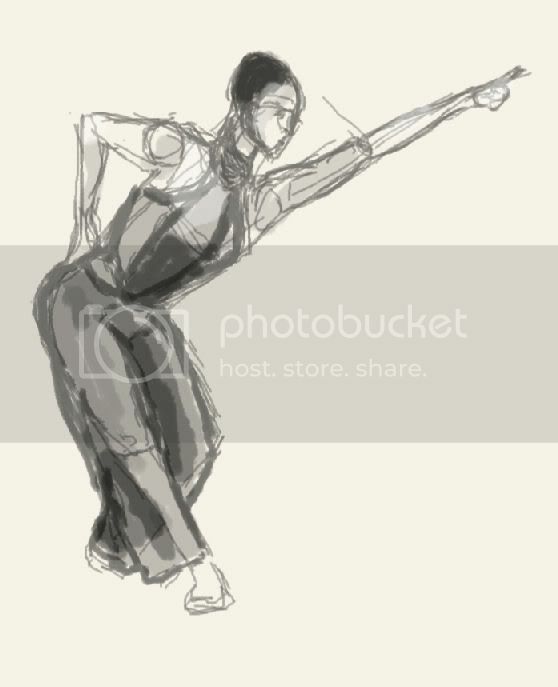 In a few minutes, I'll be posting the first pose for today. WARNING: The following thread maybe harzardous to your wacom or pencils!!. Your addiction is guaranteed. Thanks so much for this great idea! I look forward to participating! [left]Timed: exactly 15 min. Wiggy drawing, but fun as hell! Aah you are fast Becca My 15 mins were up faster than I thought. Cool! I’ll get at it in an hour or so. I’ve just fallen out of bed, so I’ll have to do a few things first. PS - 15 min. Pic was set to “always on top” in the viewer, next to my work area. Actually I stopped at 15 min and then redid the head because it was waaay off, so that’s +30 sec. My life drawing classes really helped me out here! So thats how its done! I had been wondering. I usually print the picture and paste it by my monitor; Waste of time and resources. Now I can do it like this. More poses for today’s sketchathon 15 minutes sessions. 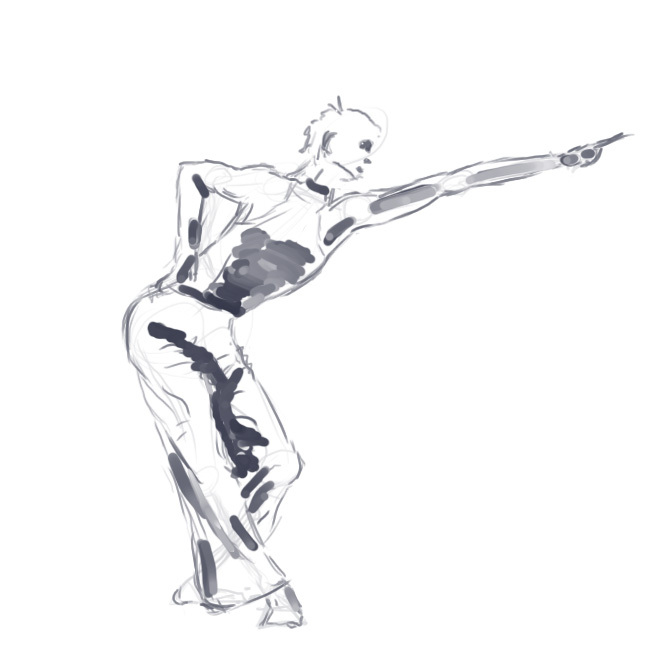 You can sketch as many of the poses as you want…and POST. Dont forget to post. The objective of our exercise is to loosen up and have fun! Just the guy. Not the lady in the shadows. Great stuff guys! I’ll be participating later this evening. Queenie, i’ve got a truckload of ref waiting for you! Just the guy, not the swinging ball thingies. Hehe, yea that’ll make your life a bit easier. Nice to see you too again QS, and thanks for setting up the thread. Also, if any of you have access and inclination, I’d love to see some 15 minute sketches (15MS) done in openCanvas with a WPE uploaded! Just so we can see how you frantically put it all together! Ego, we’ll have to do a NETWORK SESSION with this! Good plan tea man. I’ll try and see if I can upload something tomorrow, I should have OC still lying around somewhere. Fun! Sorry, no clue about method heheh. Didn’t time exactly but it couldn’t have been more than 20 mins since I saw the last post being made and then browsed some more. Is the IRC chat still full of ‘hazardous material’? Or is it ok to go there? LOL jan-Mark. yep. Even more than before. But find the right channel for this huh? Well, can I play there? I don’t have society membership :(. Puhleeease?